The Mountain Horse is an extreme snow machine that will allow you to go places you have only dreamed of going. From boon docking through the tightest trees, to side hilling and climbing the steepest mountains, to jumping or racing with your buddies. Riding a Mountain Horse is easy to learn and will give you confidence to go places and do things that you would never do on any other snow machine. Take your bike from dirt to snow with Timbersled. 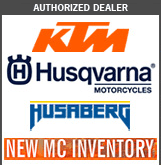 Timbersled systems fit a wide range of modern motocross and off-road dirt bikes from the early 90’s to today. ----------- A Timbersled System includes a front ski and a rear track system that replace the tires on your bike to allow you to ride all year. ----------- Timbersled systems are universal and require an Install Kit that is motorcycle specific. Install Kit Install your Timbersled system in less than three hours and you'll be ready to ride! 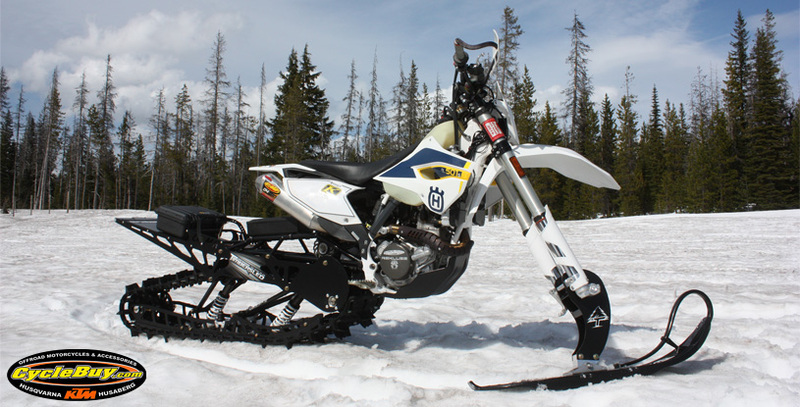 between a dirt bike or a snow bike, Timbersled installs on your bike so you can take it from dirt to snow and back again. Our easy to use tool lets you select the year, make and model of your bike to confirm Timbersled works with your bike. We have a full Timbersled line-up with systems made for riders of different sizes, riding styles and who prefer to ride on various types of terrain. The chart below compares the models to help you select the right Timbersled for you. Once you choose your Timbersled System, the next step is to choose your Install Kit. We have two options available, a Timbersled Fixed Strut Install Kit or a Timbersled Suspension Strut (TSS) Install Kit. The Fixed Strut Install Kit is an economical option to help you begin riding. The TSS Install Kit includes an upgraded shock and adds up to 8.5" more rear suspension travel for performance-minded riders. Both Install Kits come with all specific install components for your bike and Timbersled system. Complete Installation Instructions and videos are available to walk you through the installation process. Your dealer can also help you install your Timbersled system to get you ready to ride in the snow, or convert it back to ride in the dirt. Choose a Timbersled System, an Install Kit and install it on your bike for year-round riding fun!